The Classic Wineseller and Angelino’s Tapas and Wine Bar will host an evening with Musica Nostra beginning at 7. The event will include a four course meal, dancing and music. For reservations or more details call 828-452-6000 or visit www.classicwineseller.com . Hurley’s Creekside in Maggie Valley will be hosting the CrossRidge Band at 10pm. Check out their Facebook page or call for more details at 828-926-1566. The Haywood County Arts Council Sunday Concert Series for 2013 begins on January 20 at 3pm. The free event will be held at the Canton Branch of the Haywood County Library in January. Performing will be Jim Ridd, currently with Coffee Branch Band of Canton. Call 828-452-0593 or visit www.haywoodarts.org for more details. MLK Holiday Prayer Breakfast will be held at Lambuth Inn at Lake Junaluska Assembly. Breakfast begins at 8am. Tickets are available for sale at the Berea Welcome Center. Call 828-646-0125 for more details. Haywood Community College Small Business Center will be offering a seminar on business start-up issues. If you are considering a new business venture, this is a great way to look at all the small things that can give you headaches as you start out. The deadline for the Lego contest being held at the Haywood County Public Library – Waynesville Branch on February 2 is today! Rules and other information are on their website. Carole Dennis is the contact person. Claymates Pottery is having a ladies night out! Hors d’oeuvres will be served with a minimum $10 purchase. Bring your own beverage. Reserve your spot by calling 828-246-9595. Haywood County Arts Council Annual Meeting will be held at Gallery 86 in Downtown Waynesville. Call 828-452-0593 for details. Haywood Community College Small Business Center will be offering a seminar on eBay for the serious seller. There will be a second course offered on the same day on setting up a store on eBay. The Canton Armory will be the site for an indoor “Pickin’ in the Park”! This event is scheduled to be held twice monthly until it can once again be held outside. Call Carroll Nelson at 828-648-2287. The event is free and open to the public. Haywood Community College Small Business Center will be offering a seminar on increasing sales. The course is designed to get salespeople thinking about the sales environment from the customer’s perspective. There will also be information on recognizing and utilizing verbal and nonverbal cues to increase sales. Contact the Small Business Center for more information and to register. The Haywood County Public Library Waynesville Branch is having a Lego contest at the Cooperative Extension on Raccoon Road. Check the Library website for more information. Balsam Range will continue their winter concert series at the Colonial Theatre in Canton. For information, check out their Facebook page or website or call the ticket office of the Colonial at 828-235-2760. The latest update on this concert is that it is sold out but there are still tickets available for the March and April concerts. Haywood Arts Regional Theatre will be offering Scene Study class with Martin Rader starting March 2, 2013 and lasting eight weeks. The class will be held in the Feichter Studio Theatre on Saturdays from 10:00-1:00. Open to all levels. Enrollment is limited. Please call 828 622-3344 or e-mail mrader@earthlink.net (subject line: HART acting class) to reserve a space. Smoky Mountain Cinema is open seven days a week showing first run movies. Monday thru Thursday showings are at 6:50pm. Friday, Saturday and Sunday times vary based on the length of the movies currently playing. Show times and the complete lineup can be found by calling 828-452-9091. Smoky Mountain Sk8way has skating, wall climbing and fun and games galore! There regular schedule is Tuesday Afternoon Home School Skate 1-4pm; Wednesday Night 6-9pm; Fridays 6-11pm; Saturday day session 11-6pm and night session 6-11pm; Sunday 1-6pm. They are always open for school or church events as long as there are 30 people or more scheduled to attend. You can call 828-246-9124 for more information. Smoky Mountain Jumphouse is open Monday from 10am until 2pm; Wednesday and Thursday from 10am until 5pm; and Friday and Saturday from 10am until 6pm on Muse Drive in Waynesville. (This is above Thad Wood Auction House in west Waynesville, past exit 98). These are open jump times but they also have times for private jump parties on Sunday afternoons and later on Saturday nights. There is a party room available for rental with a group jump rate at all times the Jumphouse is open to the public. On out-of-school days, the Smoky Mountain Jumphouse will sometimes have special hours available. Call 828-734-8647 or check out their Facebook page for more information. Hurley’s Creekside in Maggie Valley has DJ Side 3 every Friday night. The Classic Wineseller on the corner of Church and Main Streets in Waynesville continues their Friday Night Live events. Tipping Point Tavern in Downtown Waynesville has a weekly Trivia Night at 730pm on Wednesdays. Call 828-246-9230 or visit www.tippingpointtavern.com for more details. The Canton Branch of the Haywood County Public Library will be hosting an artist exhibition for Laurel Tewes. The exhibition is free and open to the public during regular library hours. This exhibit space is made available by the Haywood County Arts Council. Cataloochee Ski Area has ongoing programs for skiers of all levels from beginners to the most advanced. There are also snowboarding programs for all levels. The CAT Adult Challenge Cup Race Series is on Thursday nights. Registration is at 6pm, racing starts at 7pm. On Sundays, there is NASTAR public racing at the CAT with registration beginning at 11am. Everyone can participate, helmets and goggles are required. Alley Cat Racing Trail will be closed from 12 noon until 4pm for racing on Sunday. You can check out their website for more information at www.cataloochee.com They have lots of SNOW! Yesterday, Thursday January 17th, I spent the morning and into the early afternoon with a group of people making strategic decisions for the Downtown Waynesville Association (DWA). As an at-large (no longer merchant) member of the Board of Directors, I attended the annual planning meeting. Around the table sat 17 people who each have a unique view and vision for the DWA and its role on Main Street, in the Town of Waynesville, in our community and in our region. The Mayor of Waynesville, Gavin Brown attended along with the Town Manager and the Assistant Town Manager. The three of them are responsible not just for the municipal service district (MSD) that is the DWA but also for the rest of the Town: Historic Frog Level, Hazelwood, Russ Avenue and all of the nooks and crannies within the town limits. It is interesting to hear and listen to the perspective of growth and service that these three individuals possess and pass along to the other staff and elected officials and appointed committees within the Town of Waynesville. Many in the group owned commercial property within the MSD – yet another perspective on the use and stewardship of a great resource to our entire region. Some of them spoke of “holding out” for the right tenant to enrich and strengthen our NC Main Street town. Others spoke of the tax burden being heaped upon the struggling merchants and galleries. Another interesting group were the real estate agents who happened to play dual roles such as property owner and/or retailer. Next week I will be facilitating the promotions sub-committee planning meeting. This will be an opportunity for those “in the trenches” (merchants, gallery owners and restaurant managers) to take the board plan a step further. I’ll keep you updated on those plans! What type of business will enhance your experience as a visitor on Main Street in Waynesville? Do you find historic districts while you are visiting other areas? What needs to be considered for improvement in events and festivals? Until next time, if you need event information, check out the previous posts! Today’s post is brought to you by RAIN! 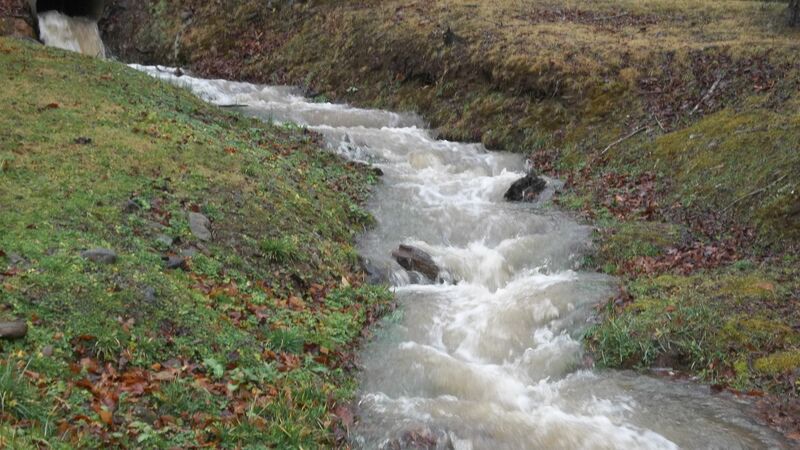 It has been raining for well over 36 hours at my house. It is wet. It is soggy. It has produced some beautiful waterfalls and water flows that we don’t normally view. Water can be awe inspiring. It is powerful. A small drop that falls alone may be ignored, forgotten. But if that small drop is joined by millions and millions more…..can produce results! The small creek near my house! Take note: our actions are the same as one small drop of rain. What are your results? Haywood Community College Small Business Center will be offering a course on writing a business plan. If you are considering a new business or revamping a current business, writing a business plan is a must. This is a great course to get started with the basics and to fine tune a plan already in the works. Contact the Small Business Center for more details. 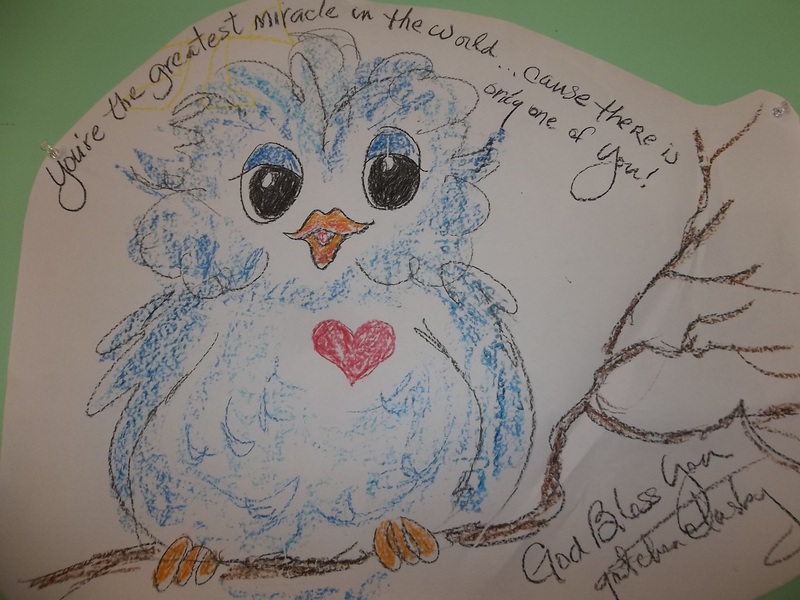 Ms. Arty Pants has events and activities just for you! They do ask that you call or text to register so that materials can be available for your art experience. January 15 Toddler Tuesday; January 16 Morning Open Paint 9a to 11a and After School Open Paint 330 to 530; January 17 Open Paint 7p to 9p. The number to call or text to register or for more details is 828-400-6232. Networking at Anthony Wayne’s at the Gateway Club in Downtown Waynesville NC. Contact Wayne Porter of Monetize Your Vision on Facebook or their website www.monetizeyourvision.com to RSVP or for more details. Haywood Community College Small Business Center will be offering a program to teach beginners how to use eBay. The course will teach the basics of buying and selling. Contact the Small Business Center for more details and to pre-register. Balsam Range will continue their winter concert series at the Colonial Theatre in Canton. Missy Raines and the New Hip will be performing with the group. For information, check out their Facebook page or website or call the ticket office of the Colonial at 828-235-2760. Smoky Mountain Cinema is open seven days a week showing first run movies. Monday thru Thursday showings are at 6:50pm. Friday, Saturday and Sunday times vary based on the length of the movies currently playing. This week “Les Miserables”, “Lincoln”, and “The Guilt Trip” will be showing. Show times and the complete lineup can be found by calling 828-452-9091. Wall Street Wines will be hosting a winemaking class in the near future. Reservations and prepayment are required. Call 828-450-6399 or visit www.jaspercarrot.net for more detailed information. The Canton Armory will be the site for the an indoor “Pickin’ in the Park”! This event is scheduled to be held twice monthly until it can once again be held outside. Call Carroll Nelson at 828-648-2287. The event is free and open to the public. Here is the promised second installment! I’m sure there will be new items and more details for events after this weekend. Just follow my blog and like my Facebook page to get the scoop! Have a great day filled with fun and joyfulness! Smoky Mountain Jumphouse is open Wednesday and Thursday from 10am until 5pm and Friday and Saturday from 10am until 6pm on Muse Drive in Waynesville. (This is above Thad Wood Auction House in west Waynesville, past exit 98). These are open jump times but they also have times for private jump parties on Sunday afternoons and later on Saturday nights. There is a party room available for rental with a group jump rate at all times the Jumphouse is open to the public. On out-of-school days, the Smoky Mountain Jumphouse will sometimes have special hours available. Call 828-734-8647 or check out their Facebook page for more information. Wall Street Wines will be hosting a winemaking class in the near future. Reservations and prepayment are required. Call 828-450-6399 or visit www.jaspercarrot.net for more detailed information. I wonder if you get to stomp grapes like in “I Love Lucy”? That could be fun! The Canton Branch of the Haywood County Public Library will be hosting an artist exhibition for Laurel Tewes. The exhibition is free and open to the public during regular library hours. The Classic Wineseller and Angelino’s Tapas and Wine Bar will continue to host Friday Night Live every Friday in January beginning at 7. Tonight’s musician is Ben Wilson, singer/songwriter and guitarist. Call 828-452-6000 or visit www.classicwineseller.com for more details. Bobby G will be performing live at Headwaters Brewing beginning at 7 pm. Blue Ridge Books will host a reading and photo presentation by local author Ronald R Cooper at 2pm. Cooper will present his book “It’s My Trail, Too: A Comanche Indian’s Journey on the Cherokee Trail of Tears.” Cooper will discuss his long-distance hike that re-traced the Trail of Tears. Call 828- or visit their Facebook page for more details. Hurley’s Creekside in Maggie Valley will be hosting the Corbitt Brothers at 9pm. Check out their Facebook page or call for more details at 828-926-1566. The Haywood County Extension Service and the Haywood County Beekeepers Association are sponsoring an event at Haywood Community College in the auditorium. The Fat Bee Man of Dixie Bee Supply in Lula Georgia will be the featured speaker at the event which begins at 6:30pm. Call 828-279-5614 or visit www.hcbees.org for more information. A donation of $5 is suggested to offset costs for the event. Bees are an important part of our ecosystem – and our economy. The Haywood County Arts Council Sunday Concert Series for 2012 begins on January 20 at 3pm. The free event will be held at the Canton Branch of the Haywood County Library in January. Performing will be Jim Ridd, currently with Coffee Branch Band of Canton. Call 828-452-0593 or visit www.haywoodarts.org for more details. For later in the week, the Dulcimer U Winter Weekend is January 3-6 at Lake Junaluska Assembly. The event at the Terrace Hotel is sponsored by Western Carolina University Continuing and Professional Education. Registration is required. Frog Level Auctions at 255 Depot Street in Waynesville will host their weekly personal property, estate and benefit auction beginning at 6pm. These are booked dealer sales. For more information call 828-775-9317. Hurley’s Creekside in Maggie Valley has a DJ Side 3 every Friday night. The Classic Wineseller on the corner of Church and Main Streets in Waynesville will be continuing their Friday Night Live events including this Friday. Jay Brown will begin playing live at 7pm this Friday. Smoky Mountain Sk8way will be open as usual on Friday evenings for more family fun. Friday night skates are from 6 until 11pm. Frog Level Brewing in the Historic Frog Level District of Waynesville will host live music on Friday evening. Chris Minick begins playing at 7pm. Don’t forget to that Blue Ridge Barbeque and Smoky Mountain Sub Shop will deliver or you can bring your own food. Call 828-454-5664 for more information. Frog Level Brewing in the Historic Frog Level District of Waynesville will host live music on Saturday evening too! Ginny McAfee begins playing at 7pm. Don’t forget to that Blue Ridge Barbeque and Smoky Mountain Sub Shop will deliver or you can bring your own food. MLK Holiday Weekend will begin with a pride march that starts at Harris Chapel AME Zion Church on Hillside Street in Canton. The march will be followed by the showing of the movie “Skin” at the Colonial Theatre. The movie will be shown for free at 1pm and again at 6pm. Call 828-646-0125 for more details. I’ve held off writing this post because I have been at a loss for what to say. So many things have run through my mind and heart in the last 6 days that it is hard to pin them down and then to pen them down. Like many of you, at times, I’ve been overwhelmed with sadness and despair and at the same time thankfulness and undeserved blessing. I’ve felt the joy of holding my children close, the sadness of seeing the fear in their eyes. I’ve laughed at their silly antics and answered their questions even as I struggled with my own questions. It seems easy to say that I support and pray for the people of Sandy Hook community and the faculty and staff at all of our schools. It seems easy to blame the lack of mental health service options and the broad range of weapons available. It is never that easy. In the end, as many of you who know me well can attest, I will pray and continue to pray: for peace in our hearts and souls; for the people of Sandy Hook community; for the faculty and staff at all of our schools; for the right dialog to occur to make these incidents stop; for guidance to do my part; for those suffering with mental disorders and illnesses and their caregivers; for courage for our political leaders who stand at the edge of meaningful change; for our democracy and the protection of our freedoms; for gun control discussions to be open and meaningful and complete on all sides of the issue; and for guidance and direction and movement in the faith community to be a part of the dialog and work in a meaningful way. I also believe that to stop our lives and stand still in fear and despair is to allow the terror in our lives to “win”. It is with that spirit, that I post today’s list of activities for the weekend. If you have any events coming up for your group, organization or business, please send the information to me as a comment here or at funthingsetc@gmail.com I have people asking about family friendly New Year’s Eve activities, so that will be especially appreciated! Thank you, Happy Advent, Merry Christmas and Happy Holidays! Remember to support our local galleries, shops and restaurants. Purchase those gift cards at your favorites and help spread the word about them through gifts! No amount is too small because every dollar makes a difference. Most local shops have sales and specials going on right now in advance of the holidays so check out their wares. Smoky Mountain Model Railroaders have their model trains on exhibit at Lambuth Inn this holiday season. The exhibit will run through December 20 and is open to the public. The exhibit will be open during times when meals are served at the Lambuth Inn. If there are no reservations for a particular meal, the exhibit will not be open. So if you want to be sure to see it, make a reservation to eat! Call Sam Hopkins with Smoky Mountain Model Railroaders at 773-9550 for more information. The Haywood County Arts Council show, “It’s A Small, Small Work” will continue through the end of the month. Gallery 86 is located at 86 North Main Street in Waynesville. The Gallery is open 10am until 5pm Monday through Saturday except Christmas Day and New Year’s Day. Call 828-452-0593 for more details. Smoky Mountain Sk8way always has fun stuff going on with skating and a climbing wall and fun activities. Smoky Mountain Jumphouse is open to get all of the holiday energy out! Call them for hours and details. Cattaloochee Ski Area will be open until sometime in March. Hours, slopes and conditions change constantly so check their website. I’ll announce special upcoming events and days as I have information. The Classic Wineseller and Angelino’s Piattion Ristorante at 20 Church Street in Waynesville will be hosting live music every Friday night in December. Call ahead for reservations if possible at 828-452-0593. 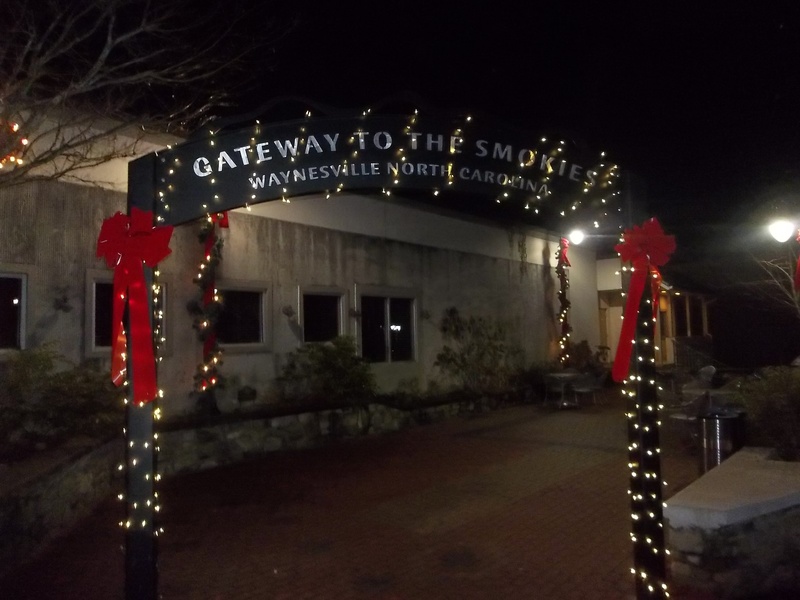 December 22 Santa will be strolling the street in Downtown Waynesville from 6 until 8pm. This is sponsored by the Downtown Waynesville Association. December 24 Santa will be strolling the street in Downtown Waynesville from 11:30am until 2pm. This is sponsored by the Downtown Waynesville Association. December 31 Smoky Mountain Sk8way will have a New Year’s Eve Party starting at 6pm. Check their Facebook page for details. I have added a few more events for the coming week. Haywood County always has so many choices of things to do! When you add in sports leagues (high school, middle school, and recreation) plus the service clubs …..wooo there is a lot to do. To hopefully make it a little easier to spot the new stuff, I’ve highlighted it at the top AND included it on the appropriate dates below. Remember to support our local bakeries and restaurants as you prepare for your holiday parties and events. And stop by local places to grab a bite while you are shopping at the local galleries and shops. Every little bit makes a big difference to our neighbors who own, manage and work at these small businesses. And every little bit makes a big difference to our economy. Blue Ridge Books will be hosting Author Wilma Hicks Simpson who will sign copies of her new book, Greater Than the Mountains Was He: The True Story of Johann Jacob Shook of Haywood County, North Carolina on Friday, December 14 at 6:00 pm in Waynesville. Smoky Mountain Cinema announced their show times and offerings. Not bad for a small-town local theatre! Support our local theatre by attending a show or two. Hurley’s Creekside in Maggie Valley will be hosting a party this evening starting at 10pm. You may check their Facebook page or call for more details. 828-926-1566. The Haywood County Public Library Waynesville Branch will be hosting a writing workshop for children on Saturday December 15th at 11am. The group will read the holiday story that has been written and decide what the next story will be about. Author Stacy Wright generously donates his time and talent to lead this writing group for young children. Call Carole Dennis at 828-452-5169 for details. Sid’s on Main in Canton is proud to present a Holiday Wine dinner prepared with local flair. Sid’s says: “The event will be seated, but only as “formal” as Sid’s on Main can get (so not very!). It will be a night filled with local food and local people coming together to taste some amazing wines presented by Grapevine Wines and paired with local ACF Certified Executive Chef Denny Trantham’s creative cuisine.” The price for the evening will be $60.00 ++ per person. Space will be limited, so make your reservations now by calling 828-492-0618 for December 15 at 7pm. Frog Level Brewing Company will host the Darren Nicholson Band this Friday evening to celebrate the brewery’s one year anniversary. Music starts at 7pm. Bring a new, unwrapped toy to be donated to Toys for Tots or make a $20 donation. This is the last collection at Frog Level Brewing Company for the this worthwhile cause. HART Theatre presents A CHRISTMAS CAROL this holiday season. The remaining shows are December 14th at 730pm, December 15th at 2pm and 730pm; and December 16th at 3pm. Call to make your reservations at 456-6322 or use their online ticket booth at harttheatre.com When we made our reservations earlier this week, tickets were selling briskly so it is best to call now! This is a note directly from Smoky Mountain Living: Smoky Mountain Living prominently features images from across the southern Appalachians in each edition. Photo essays adhere to the issue’s overall theme. The next edition of Smoky Mountain Living will focus on the theme “Adorn.” What decorations do you see—on people and on things—that turn the ordinary into the extraordinary? Send your images to photos@smliv.com by Dec. 17, 2013. For more information, visit smliv.com. The Canton Branch of the Haywood County Library will host An Evening of Holiday Tales & Other Stories on Tuesday December 18th from 530-630pm with Storyteller Amerie Helton who has enchanted audiences of all ages with world folktales, Norse myths, medieval stories, and other tales. Refreshments, generously provided by the Friends of the Library, will be served. For more information, call (828) 648-2924.